I’d like to point out that you should watch this clip in the context that it is the first extended one released from Marvel and ABC’s latest TV show. 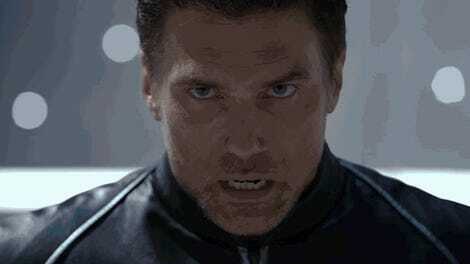 It’s meant to convince you that Inhumans may not be as bad as the trailers have made it look. Which makes this... well, let’s just say extremely unconvincing. 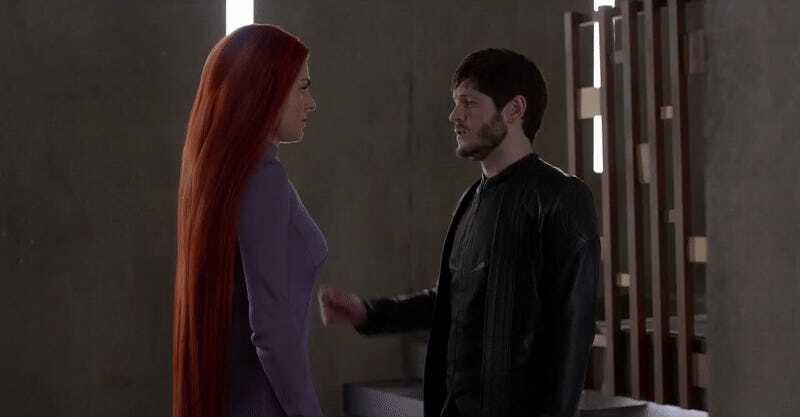 The clip, which sees Iwan Rheon’s Maxmimus (known as Maximus the Mad in the comics, but might as well be Maxmimus the Mumbler if this is anything to go by) being a creep to Queen Medusa is very stilted. The dialogue is awkward—even as you struggle to hear it—as is the framing of the scene itself. That is, until Medusa decides that she’s had enough of Maxmimus’ terrible attempts at seduction and hair-pins him to the nearest wall, and the scene finally opens up a little, only for the scene to end as abruptly as it started. Speaking of Medusa, this is in fact the clip shown to Comic-Con audiences to convince people about the quality of Medusa’s hair in the show—a topic of much debate ever since the show as revealed—which makes the fact that Medusa’s hair is so... off in this scene. It’s not nearly animated enough once Medusa bristles like a redheaded porcupine at Maxmimus touching her—it sort of just sits there instead of really floating or moving about. It makes it somehow feel even faker than a CGI bundle of hair should. Hopefully there’s more stuff to see in Inhumans that will come across better than this does. Because for now, everything we’ve seen from the show so far doesn’t really do much to drain us of our skepticism.